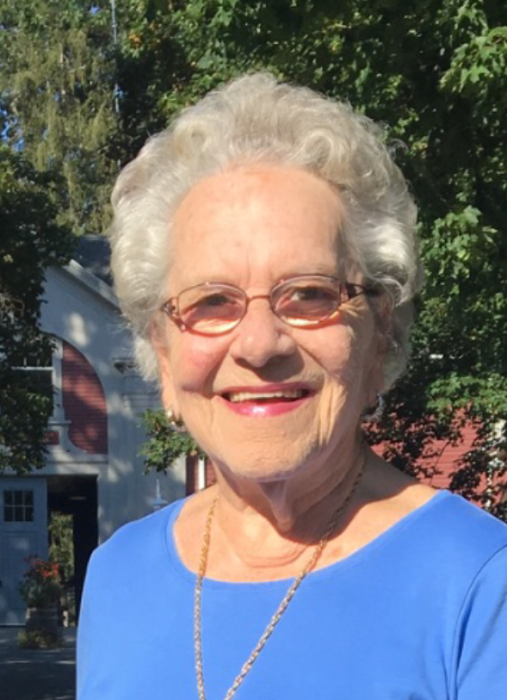 Mary Barker 84, a resident of Danvers and formerly from Everett passed away peacefully surrounded by loved ones on September 15th at the Masconomet Healthcare Center in Topsfield. Mary was born on March 2, 1934 in Everett, one of 10 children of the late Walter and Bridget (Southwell) Seward. She was raised in Everett and graduated from Everett High School Class of 1953. She later continued her education at Katherine Gibbs in Boston. After graduating from EHS, Mary worked for New England T&T as an executive administrator. Mary was a member of IBEW Local 2222. She was considered a telephone pioneer. After her retirement from NE T&T in 1992, Mary worked for the City of Everett. Mary as the matriarch of her family, led by example. She set the bar incredibly high as a mother to her three children and was an exceptional role model to both her children and grandchildren. Mary raised her three children as a single parent and was most proud of her family. Her fondest memories were spending time with family and friends. She especially enjoyed times at Sebago Lake, because most of her family were together creating life-long memories. Mary enjoyed baking, cooking and knitting for her grandchildren. She loved Red Sox Baseball and went to her first Sox game in her 70’s with her good friends, Theresa and Mary. They were the loudest and most vocal and best fans. Mary was a life-long Everett resident before moving to Danvers. She loved the City of Everett. She supported many local and state politicians: she loved politics. Besides raising her family, working a full-time job; Mary volunteered often. She was a softball coach, a CCD teacher, a member of the Council on Aging and a Library Trustee for both the Shute and Parlin Libraries. Faith, family, friends and helping others were the foundation of her life. Mary was loving mother to Mary-Beth Abbott and her friend Kevin Robinson of Danvers, Frank Barker and his wife Jill of New York and Alison Buchanan and her husband Robert Jr. of Danvers. Mary was the cherished grandmother to 10 grandchildren: Matthew Abbott and his wife PJ, Allen Abbott, Jr., Bridget Abbott, Britney Buchanan, Alyssa Buchanan, Robert Buchanan, III, Ryan Buchanan, Kristina Buchanan, Michael Barker and Grace Barker. She was also the proud great-grandmother to Brayden and Jackson. She was also the Mother-in-Law to the late Allen (Barney) Abbott, Sr.
Mary grew up in Everett with her 9 brothers and sisters. Mary was the sister of Shirley Sullivan of Marlborough, Barbara Kirby of Florida, Alice Porcaro of Everett, and the late Doris O’Neil, Lorraine Lavasseur, Margaret Martin, John Seward, William Seward and Walter Seward. She is also survived by many adored nieces and nephews and a host of friends. Funeral Mass will be held in Our Lady of Grace in Everett on Thursday at 10am. Visitation will be held at the Murphy O’Hara Funeral Home 519 Broadway Everett on Wednesday from 4 to 8pm. Interment St Mary’s Cemetery Danvers.